The trustees and volunteers of Leicester’s Takeover Radio and the Children’s Media Trust are deeply saddened to announce the death of our founder and Managing Director Graham Coley (61) after a hard fought battle against cancer. 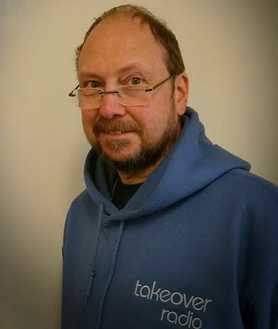 In 1998 Graham became a founding director of Takeover Radio nurturing it from short term temporary radio licences to full time community radio stations, first in Leicester in 2001 and then Ashfield in 2010. Graham’s legacy is Takeover Radio and the trustee’s intend for it to continue and grow, providing even more opportunities for young people and adults to gain experience in broadcasting and journalism. Graham was an extraordinarily dedicated man and we are distraught at the loss of our great friend, mentor and inspiration. Our thoughts are with Graham’s wife Mel and their family.